The WWE made their only televised stop of the year in Columbia, SC at the Colonial Life Arena on Tuesday night. It was for a taping of the television shows Main Event and Smackdown. It was an action-packed night of family friendly entertainment. Main Event was up first, and the fans got to see Cody Rhodes in-person. Rhodes was kind enough to call into Music Recall Magazine and chat with us last week. After a back-and-forth match, Rhodes lost to Chris Jericho. 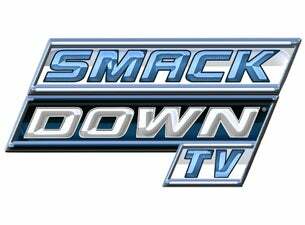 Smackdown was next with non-stop action and was very engaging. The night was capped off with the Fiesta Del Rio. And in typical WWE fashion, the celebration was interrupted when Dolph Ziggler came out and raised havoc. Many fans got to keep a souvenir when thousands of red, green and white balloons fell from the rafters. The crowd in Columbia, SC loved every minute of the WWE action. The Main Event and Smackdown shows were very entertaining. It was three hours of quality entertainment. It’s now time for Monday Night Raw to return to Columbia!